75Health is the pioneer health information systems service provider with the aim of facilitating physicians and healthcare facilities to meet present and future health information technology needs. We leverage the most modern technology for enhancing the quality and workflow in all types of medical practices, regardless of their size and specialty. Why is 75Health the Market Leader? As with other industries, there has been considerable activity in the health care front during the recent past. 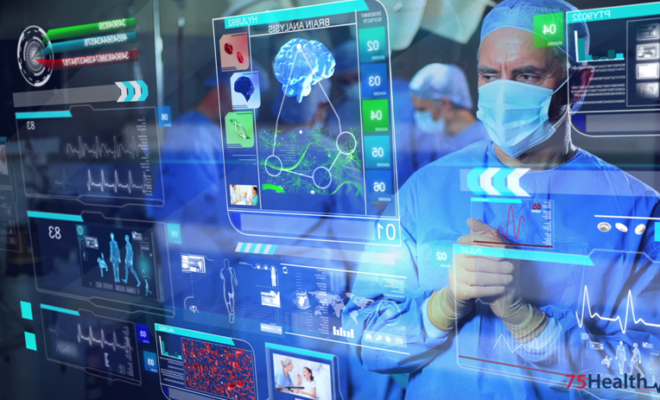 Information technology is being leveraged in a big way to automate and expedite the various critical and regular processes in the medical environment. 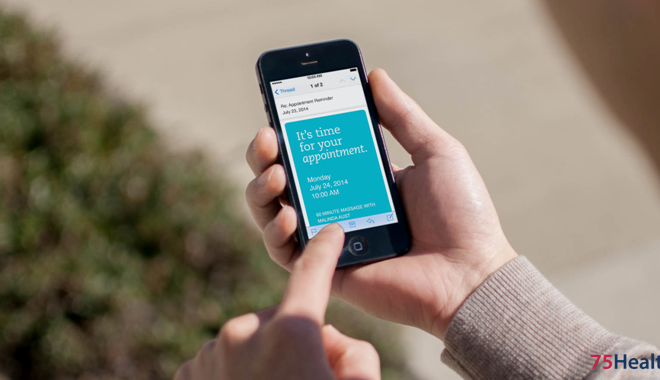 This leads to accurate information, timely intervention, and convenient access to medical data. Health care procedures and tests have also been revolutionized by the entry of information technology-based products. 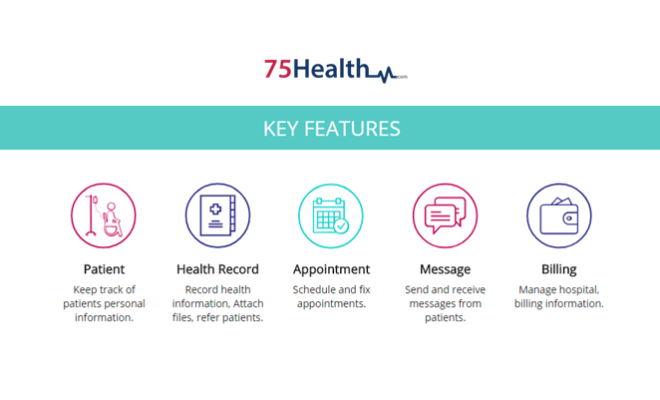 75Health has come up with the most modern health information technology products such as Electronic Health Records, Electronic Medical Records, Personal Health Records, and Practice Management Software. 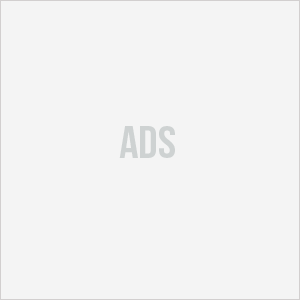 Cloud-based platform proves fast, secure, and cost-effective. 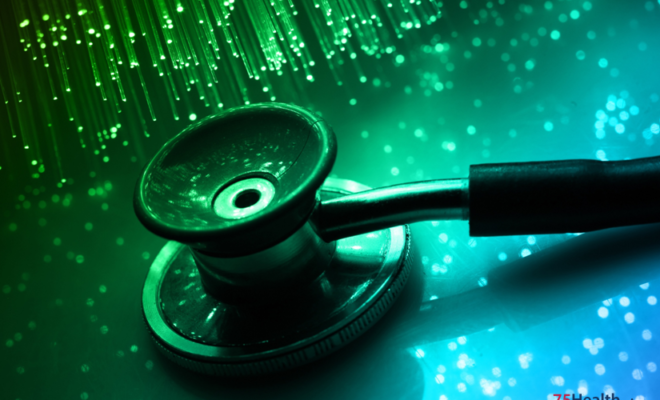 Our health IT systems inculcate the tradition of a simplified and simulated workflow. Processes are based on intelligent systems and enable physicians to increase their efficiency while enhancing patient care. One of the key areas, this provides electronic means to record all relevant health information of patients and files can be attached here. Patient reference is enabled; convenient storage and retrieval are facilitated here. This feature offers timely and efficient scheduling and fixing appointments in such a way that no-shows are eliminated and a smooth and coordinated workflow is facilitated. 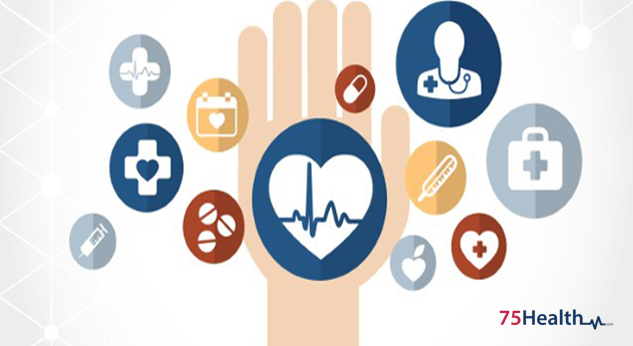 Providing a channel for easy and effective communication between patients, providers, and the various other stakeholders involved in the healthcare management of individuals, this function enables the quick and accurate exchange of information. The medical billing system, when seamlessly integrated to the EMR, ensures flawless and timely billing solutions. Redundancy and errors are eliminated, patient satisfaction is increased, and practice payment collection is improved by using this function. 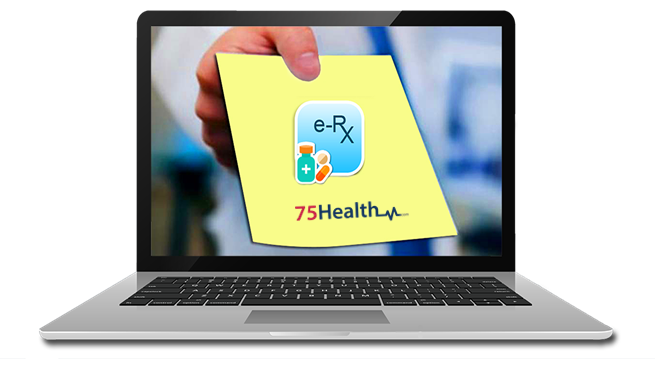 The innovative 75Health EHR / EMR Software not only digitalizes the entire patient medical record management but also ensures accuracy and convenient access to critical information.